Mariner 9 entered Mars orbit on November 14, 1971. The UVS instrument began measuring the ultraviolet dayglow from the upper atmosphere. 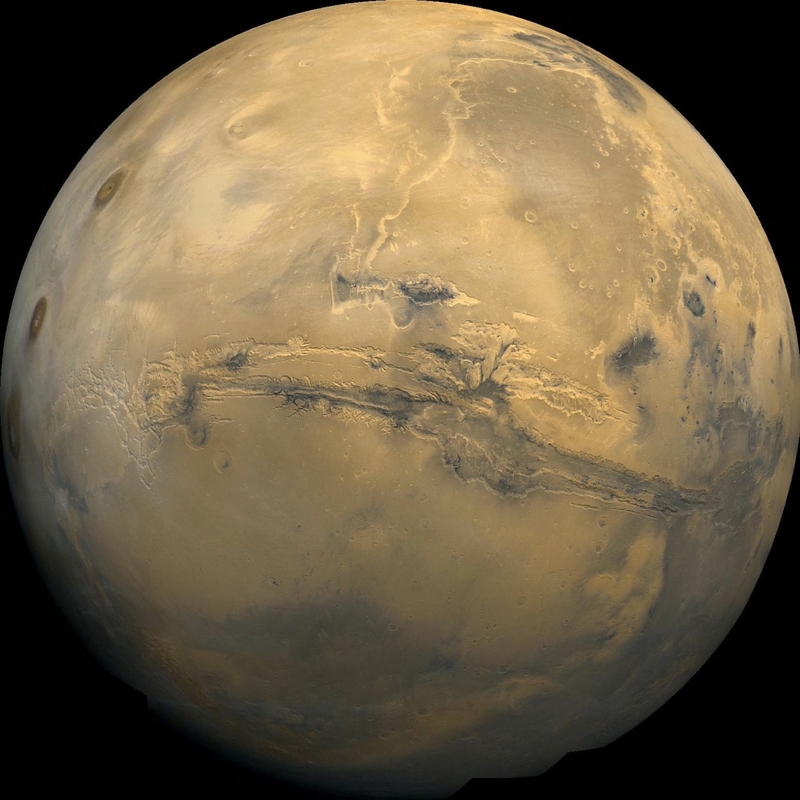 When the planet wide dust storm subsided, the UVS initiated a search for ozone in the lower atmosphere and commenced topographic mapping of the surface, including measuring the altitude of Olympus Mons and the depth of Valles Marineris, which appears in the image below and was named for the Mariner 9 teams.